WITH Stephen Loman as the lone champion at the start of 2018, Team Lakay finally brought home four more titles to close the year in victory. Team Lakay's conquest in the world stage will be remembered in Philippine sports history with a dominance in the mixed martial arts scene. As Loman made two successful bantamweight title defenses in Brave Combat Federation this year, his four brothers at Team Lakay who are all seeing action in One Championship ended the year with four more belts in their trophy cabinet. The first to strike was Geje Eustaquio, who first defeated Kairat Akhmetov for the interim belt in January, before becoming the undisputed ONE flyweight world champion with a decision win over Adriano Moraes in June. Joshua Pacio then earned redemption in a rematch against Yoshitaka Naito on 22 September, and dethroned the defending champion via unanimous decision to earn the ONE strawwweight world title. Just two months later, in a thrilling contest in Singapore, Kevin Belingon also returned the favor against an old rival. With a spectacular display of heart and skill, he defeated ONE’s most dominant martial artist in history, Bibiano Fernandes, to become the bantamweight world champion. Topping off a phenomenal year was Eduard Folayang who overcame Amir Khan in front of his countrymen in Manila to become ONE lightweight world champion for the second time. Coach Mark Sangiao recalled they were often mocked for their lack of ground game skills where in at one point in time, the team suffered their lowest of low in May 2013, losing all five bout in One Championship including the featherweight title which was initially held by Honorio Banario. Sangiao, in an earlier interview said the loss only made them stronger as a team and made them hungrier to be better. Fast forward to 2018, the team has eventually conquered the MMA scene and Sangiao said there are still more work to do in 2019 as they are not sitting on their laurels. “I believe everybody will be eyeing our titles next year and that is where the real challenge lies, on how to keep those belts,” Sangiao said in an earlier interview. With two former world champions in the UFC signing with ONE, Sangiao added the team is looking forward on future matches against MMA pound for pound king Demetroius Johnson who is fighting in the flyweight and former lightweight champion Eddie Alvarez. “I’m excited with these matches. They are considered as one of the best MMA fighters in the world and to be the best, we have to fight the best,” added Sangiao. FROM the regional to the national level, Baguio City remains a cut above the rest when it comes to sports competition. After lording the annual Cordillera Administrative Region Athletic Association in February, Baguio City made its presence felt in the Philippine National Games (PNG) as it placed first runner–up to host Cebu City. Even without the medal rich wushu, Muay Thai and wrestling, Baguio City maintained its second place finish in the PNG held in Cebu. Baguio City took home 40 gold medals including 39 silver, and 57 bronze as archery, arnis, and taekwondo accounted eight gold medals each while judo chipped in seven with athletics adding five, boxing turning three and triathlon, one. After failing to secure the over-all title in the PNG, Baguio City vented its ire against local government rivals in the Batang Pinoy National Finals. 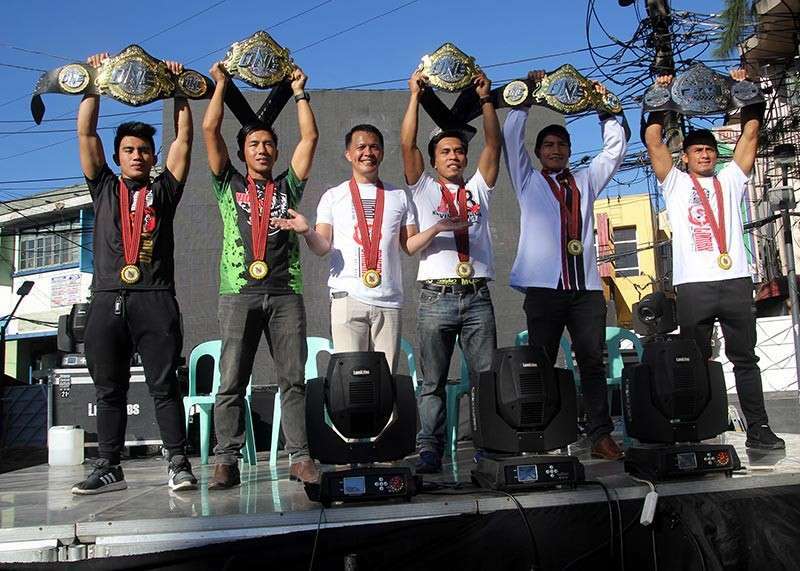 Baguio City relied on combative sports anew, running away with 83 golds, including 81 silvers, and 107 bronze medals to retain the over-all title of the Philippine Sports Commission backed weeklong competition in September. The Pines City bets edged Cebu City in the overall standings after capturing 36 golds, 40 silvers and 44 bronze while Laguna went home with a 34-13-31 as Quezon City finished fourth with a 29 - 16 - 18 medal harvest with Pangasinan securing the top five with 24 - 24 – 25. Baguio slowly flexed its muscle winning 19 golds in arnis, 16 in wushu, 13 in muay Thai, 10 in taekwondo, nine in judo, and five in pencak silat. The highland city also secured eight gold medals in wrestling. In the regional level, the Summer Capital is still the undisputed regional power house. Right from the start, the city was a force to reckon with as it amassed 222 gold medals, 102 silver and 61 bronze medals to retain the over-all title for the longest period. The Summer Capital was 10 gold medals short of its total haul in 2017 but it was more than enough to secure the first place in the weeklong competition backed by the Department of Education. Benguet retained its second place finish with 38-66-82 performance as it captured 14-38-30 in the elementary level while its high school counterpart secured 24-28-52. Ifugao scored the biggest improvement in the regional meet with its third place finish after bagging 36-55-60, a far cry from its sixth place finish last year winning only 10 gold medals, 36 silver, and 72 bronze. Ifugao surprised the field with their impressive gold medal haul in elementary with 22-21-21 particularly in women's gymnastics, athletics - girls, and table tennis while securing 14-34-39 in the secondary level coming from boxing, men's gymnastics, and wrestling. Abra slid to fourth place in the closing day after enjoying the third spot for the past two days with 23 - 62--65 improving from its seventh place finish last year. Apayao maintained its 5th place finish over-all with 22-41-71 as Kalinga came in sixth on a 16-22-49 haul while Mountain Province, finishing third last year managed to salvage 13-21-49 for a dismal seventh place finish. The year also saw local athletes shining in international competitions with Divine Wally, Carlo Paalam and Jeordan Dominguez winning bronze medals in the Asian Games. Wally returned to the world stage as she took another bronze in the World Cup of sanda last October 31. Paalam is a senior high from the University of Baguio who won a bronze in the Asian Games last August. Dominguez was one of the three who performed to a third place finish in taekwondo Poomsae. He later won the same medal in the Taiwan hosted World Pomsae Championship last month. Earlier this year, he won silver in the Korean Open. Daniel Parantac, Jones Inso and Thornton Lou Sayan won a gold each in the Traditional Wushu Championship in Nanjing, China late October. Parantac took a bronze, while Inso had another silver in the same competition. Cordillera pride, Islay Erika Bomogao scored an impressive victory to secure a gold medal for the Philippines in the 2018 International Federation of Muaythai Amateur (IFMA) Muay Thai Youth World Championships. Bomogao bagged the gold medal in the 42 kilograms division for the 16-17 age group of the tournament which opened in August as young athletes aged 10 to 17 competed according to age and weight categories. The Cordillera region stayed in fourth place behind power house, National Capital Region and Central Visayas, with 25 golds, 21 silvers, and 20 bronzes in the April edition of the Palarong Pambansa held in VIgan City Ilocos Sur. Cordillera was one gold medal short hauled in the 2017 edition held in Aklan. Although the region bagged 26 gold medals, Cordillera was good for a fifth place finish. 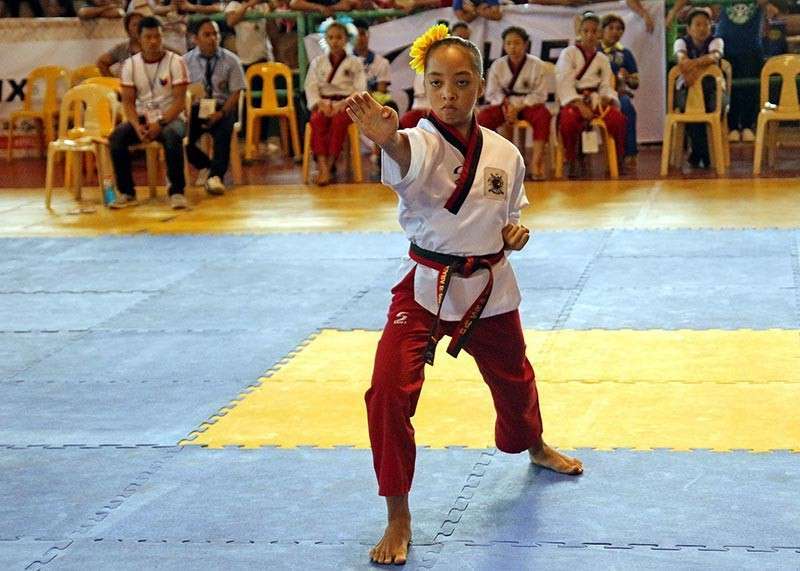 The wushu team emerged as the overall champion with four gold, one silver, and two bronze medals while taekwondo jins from Baguio also dominated most of the events in poomsae (form) and kyurugi (sparring). This year, the region finally broke the jinx in athletics after Edward Josh Buenavista bagged a gold. Buenavista, a grade 10 student from the University of Baguio checked in at 9.52.39 to win the gold medal in the 3000 meter steeple chase secondary boys in his first Palarong Pambansa. Coach Jennifer Pinlac said although it was Buenavista's first, he has already been competing in the Prisaa which coincides with the Palarong Pambansa. From a 10th place finish over all in 2013, CAR improved to fifth place in 2014, its highest finish since it was established as a region in 1987. But Cordillera athletes surpassed expectations as it placed fourth in 2015 with 24 – 22 – 26 medal count. CAR then slid to 9th place in 2016 with only 12 gold medals, 19 silver and 15 bronze but 2017 saw the region climbing up to sixth place with 26 - 21 - 21 medal haul. Brico Santig, of the Highland Boxing Gym, was named WBC ABCO Pacific Region Promoter of 2017-2018, while Darwin Miller Dep-ay of DMAD Boxing Promotions was named promoter of the year for Muay Thai. Santig welcomed the honor, saying this will serve as an inspiration for the gym and Dep-ay’s promotion to hone more fighters, particularly in boxing and Muay Thai in the Cordillera and hopefully produce world champions in the near future. Gabriel Elorde of Elorde Promotions, together with Jim Claude Manangquil of Sanman Boxing of General Santos City, and promoter Jai Singh Shekhawat of Royal Sports Promotions in New Delhi, India was also cited during the awards night. Promising as it may seem, Ifugao boxing sensation Carl Jammes Martin may be the next big thing. Undefeated in 11 bouts, Martin became the interim WBC Asian Boxing Council Continental bantamweight champion when he defeated Artid Bamrungauea of Thailand in 2017 to kick off his knack for boxing glory. Martin then battled Hashimu Zuberi of Tanzania on April 2018, beating the Tanzanian by technical knockout in round 2, to win the vacant World Boxing Organisation Oriental Youth Bantamweight Title. The 19 – year –old Lagawe native then fought the rough Indonesian in George Lumoly for the vacant WBA Asia bantamweight title in June 2018 and eventually knocking him out in round 3 of their scheduled 12 round bout. On August, Martin defeated Huerban Qiatehe of China by retirement to retain the WBO Oriental Youth Bantamweight Title. Qiatehe was battered from the first round with heavy punches that pushed the Chinese to retire from his corner in round 6. Martin capped his unbeaten run last October defeating Moon Soo Chul in the fourth round to defend his WBA Asia bantamweight belt. 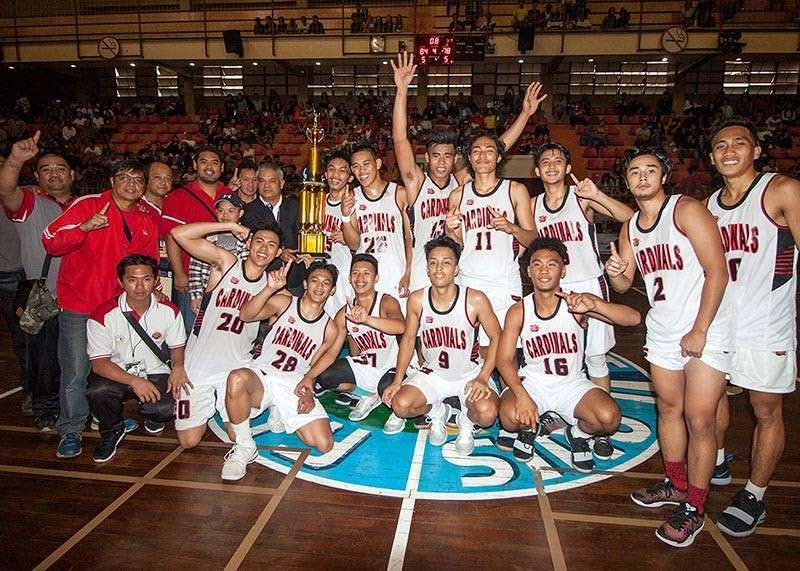 The rivalry between the University of Baguio and Saint Louis University at the Baguio – Benguet Educational Athletic League was rekindled once anew as they faced each other in the finals of the men’s basketball. UB was out of the finals for the past two seasons while SLU had its last finals appearance in 2007. The Cardinals were unbeaten at the end of the elimination round and earned a twice to beat advantage going into the semis while the Navigators, who had two losses in the group stage was able to make it to the final four who had to defeat Baguio College of Technology Atoms with a twice to beat advantage. However, SLU’s magical run in the men’s basketball ended briefly as the Cardinals swept the Navs in two games to reclaim the BBEAL trophy. SLU’s loss however had a silver lining in it, as coach Raymund Austria was picked to be an apprentice with the Gilas coaching staff. Austria was the hands down choice to join the Gilas coaching apprenticeship program according to BBEAL basketball commissioner Djalma Arnedo saying Austria done an exceptional job and lauded the coach for putting together a competitive lineup which exceed expectations. Gilas head coach Yeng Guiao said opportunity can be opened to local coaches for the men’s national basketball team under their apprenticeship program saying they will be asked to contribute knowledge and at the same time learn from members of the coaching staff for at least two to three weeks to be able to acquaint their selves on how the national team prepares. In February, amid the bombing incident in La Paz town, Abra Governor Joy Bernos assured safety of participants of the Cordillera Administrative Region Athletic Association. Abra hosted the largest gathering of student athletes in the region with close to 5000 participants, prior to the bombing incident, DepEd sports coordinator Agustin Gumuwang with division superintendent Irene Angway assured police have laid out a security plan for grand sports meet. The province made one for the books with an Olympic like opening to captivate the region’s best during the opening of the CARAA meet at the Abra Sports Complex making sure the 17- year wait to host the sports meet was worth it. 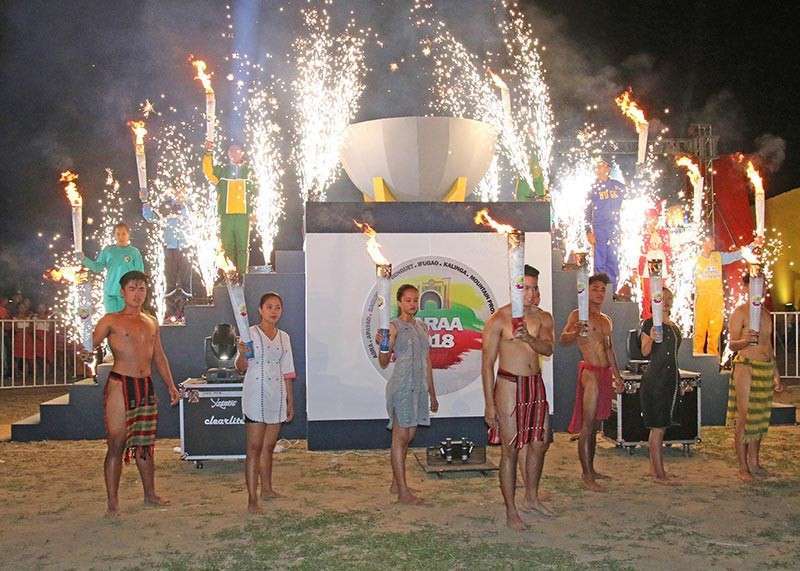 The preparations set the set the bar for the coming sports meets in the region with the province giving a grandiose opening program and a lavish “Governor’s night” leaving a mark for each delegate. The event was described to open many doors for Abra, capped by a fireworks display.